Motorcycle and ATV Powder Coating Specialists in Syracuse and Central New York. 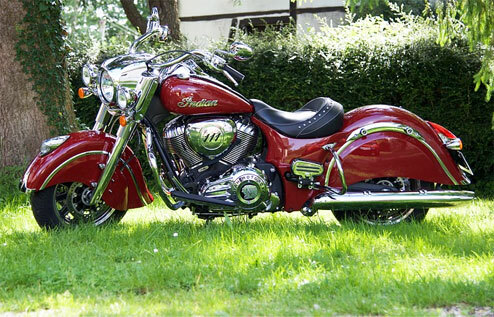 Motorcycle and ATV Powder Coating is one of the most popular powder coating applications today. 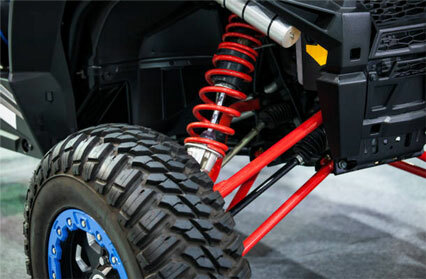 Not only is powder coating for your motorcycle or ATV extremely durable, standing up to the harshest road and off road punishment Upstate New York can dish out, it is also extraordinarily affordable. Rick’s Wheels in Syracuse NY powder coats a wide range of classic, custom and performance motorcycle and ATV parts, frames and accessories. We offer hundreds of powder coating colors and combinations from which to choose, as well as metallic finishes, candy colors, wrinkle and flat finishes, high gloss and mirror finishes, and clear coats. Whether your motorcycle or ATV project is for a full frame, or individual wheels or bumper guards, we can powder coat any parts or accessories on your bike or ATV. At Rick’s Wheels, we use only the best coatings, application methods, and highest service standards to provide you with a finished product we can both be proud of for years to come. Powder coating can offer a better than factory finish on your motorcycle or ATV parts. And at Rick’s Wheels, we have the years and experience to handle all of your motorcycle and ATV powder coating needs. Motorcycle and ATV owners and mechanics agree that powder coating is the best finish there is with limitless opportunities to express your taste and style. Powder coating is ideal for wheels and rims, hubcaps, decorative trim, fenders, frames, tanks and grills. It works beautifully for handle bars, foot pegs, guards, crash bars, and parts of any size. Are you ready to take your motorcycle or ATV to the next level? Give us a call. We’ll show you how to get there.